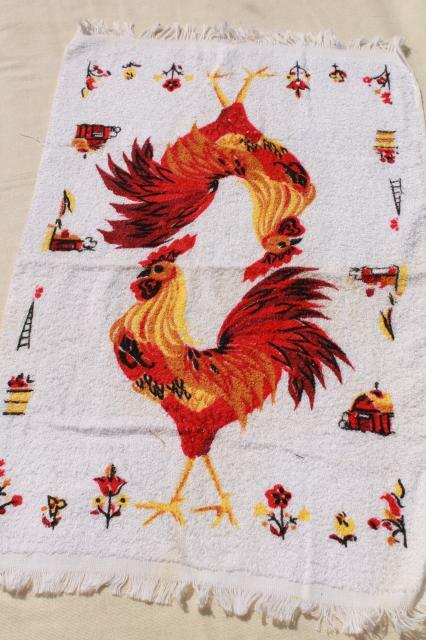 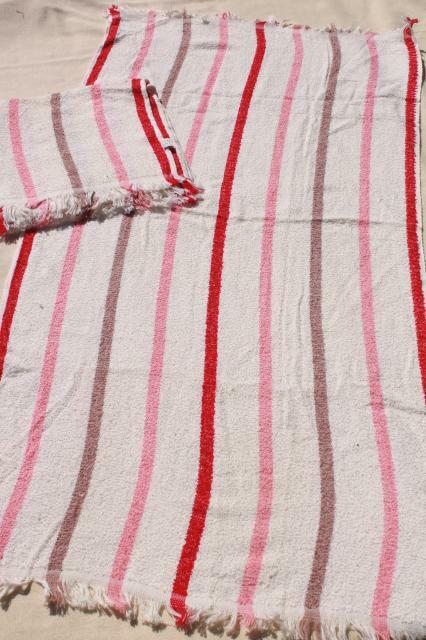 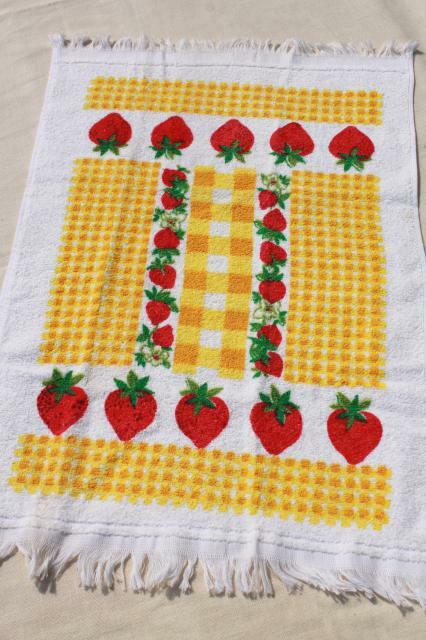 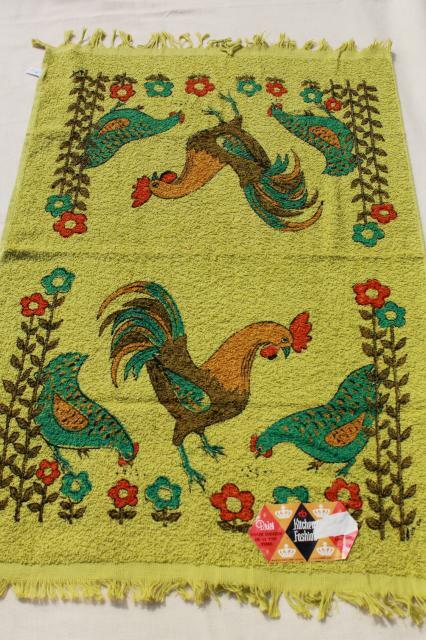 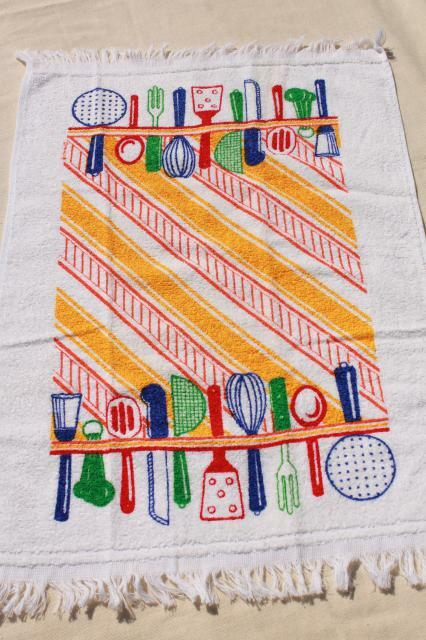 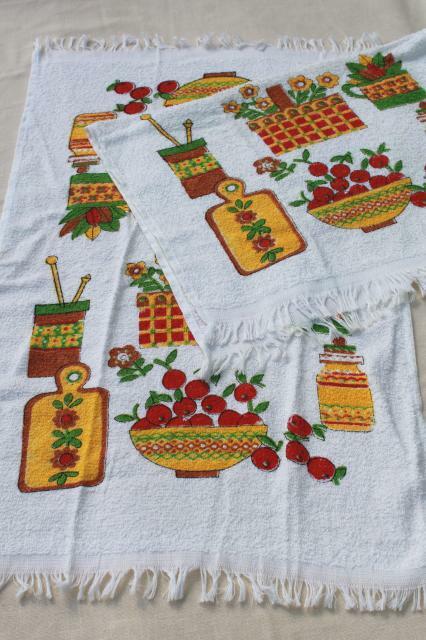 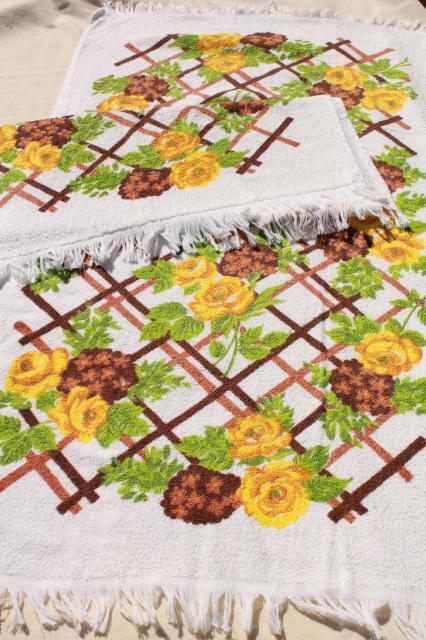 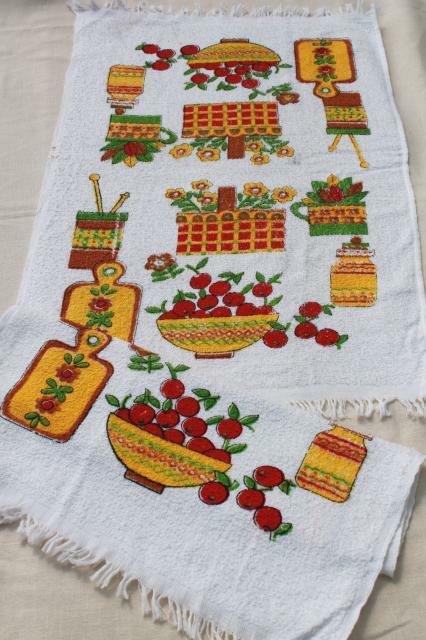 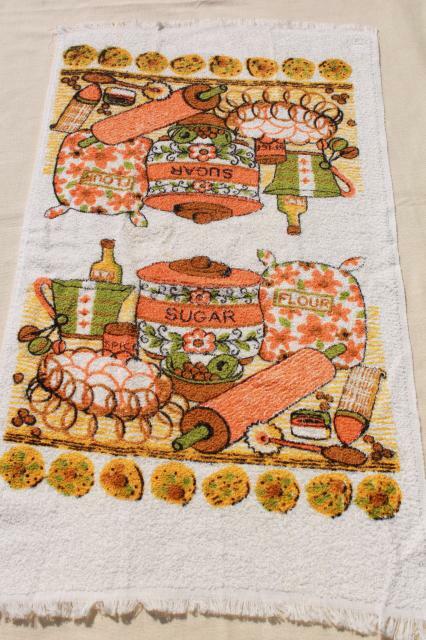 Large lot of vintage terry cloth kitchen towels (and a few bath towels) with some great retro prints! 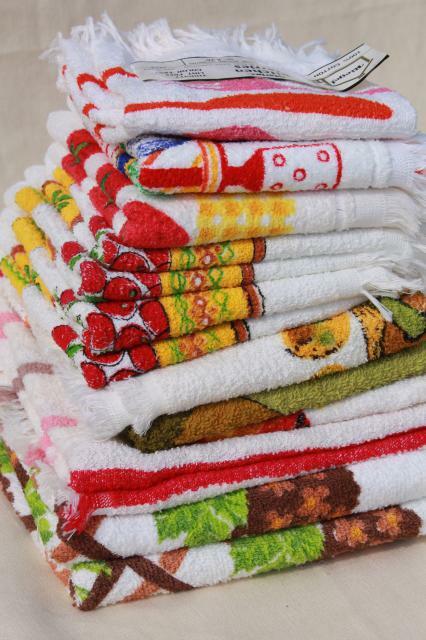 Most of these have never been used or laundered, though many have a few spots of light soil or marks to the fold lines from storage. 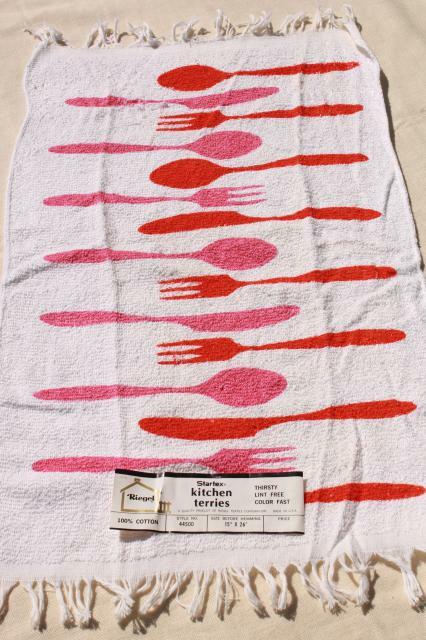 There's 14 towels in all.